It’s national Teacher Appreciation Week this week and at our daughters’ school, the parent-teacher group has been making sure there have been special treats for the teachers each day to show them how much they are appreciated. 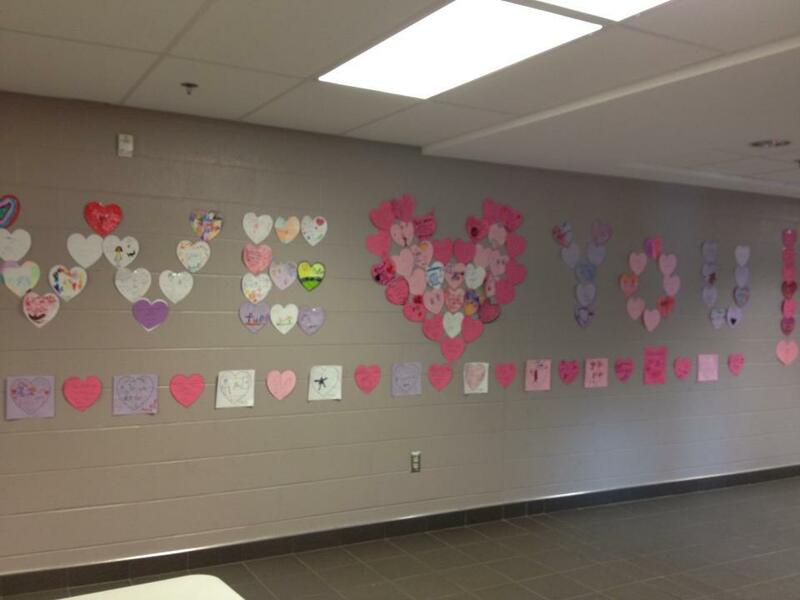 Little treats like a mural that says “We love you” made out of kids’ drawings, ‘real’ toilet paper in the staff washroom (hey – these things matter! ), and today, a tea trolly with treats. 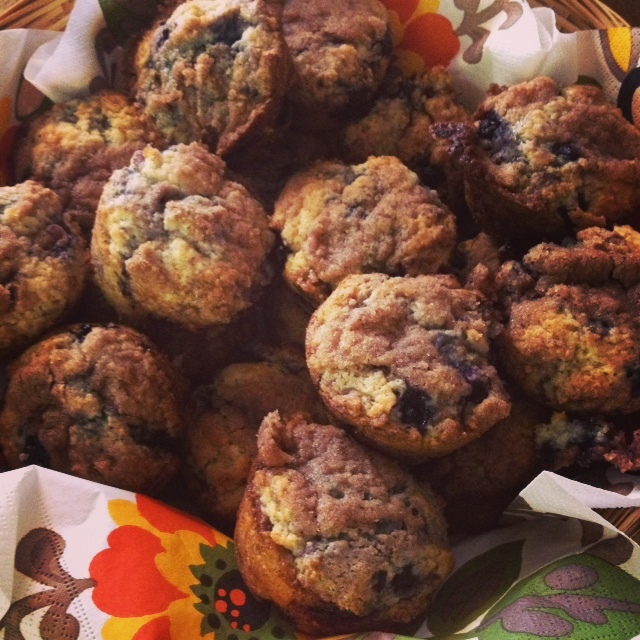 Although I can’t be at the school to help deliver the treats, D’Arcy made a batch of his “to die for” blueberry muffins this morning to send. Combine 1 1/2 cups flour, 3/4 cup sugar, salt and baking powder. Place vegetable oil into a 1 cup measuring cup; add the egg and enough milk to fill the cup. Mix this with flour mixture. Fold in blueberries. Fill muffin cups to the top, and sprinkle with crumb topping mixture. To Make Crumb Topping: Mix together 1/2 cup sugar, 1/3 cup flour, 1/4 cup butter, and 1 1/2 teaspoons cinnamon. Mix with pastry blender, and sprinkle over muffins before baking. We made it home from the bonspiel in Yarmouth last night, despite the miserable weather and snow-covered roads. What should have been a four hour drive took about six. Who’s bright idea was it to encourage our kids to play winter sports in Canada, anyway?! Although we were disappointed the boys didn’t qualify in this tournament (they recognize they didn’t play their best among tough competition), they will still have another chance to qualify for the 2015 Canada Winter Games in March at another qualifier in Halifax. Of the 28 teams who have been participating in the process since last year, two boys teams and two girls teams were chosen to move through to next year. Next year’s group will go from 28 to just six boys teams and six girls teams. Once through the process, Team Nova Scotia will be chosen at the end of next season. We’ll be “hurrying hard” at practice between now and March! 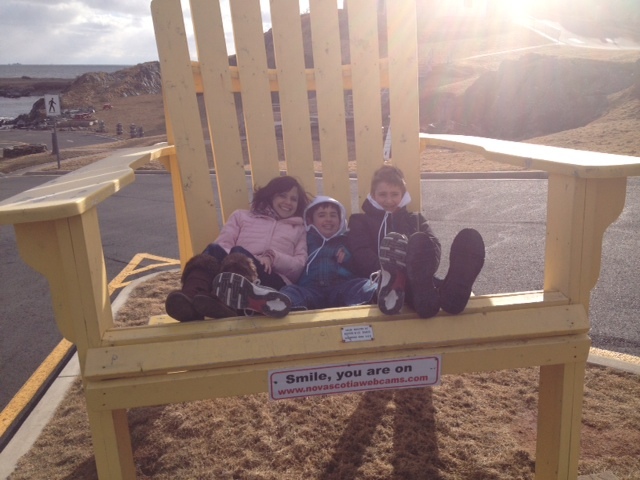 Check out Team Spinney at Cape Forchu Lighthouse in Yarmouth, Nova Scotia, this afternoon! They are here participating in the first 2015 Canada Winter Games Qualifier. There are 24 teams hoping to represent Nova Scotia at the 2015 Games in Curling. This tournament is double knockout, with the top two teams moving forward to next year. They won their game last night and lost this morning’s game. It was a nail biter and came down to the final end. 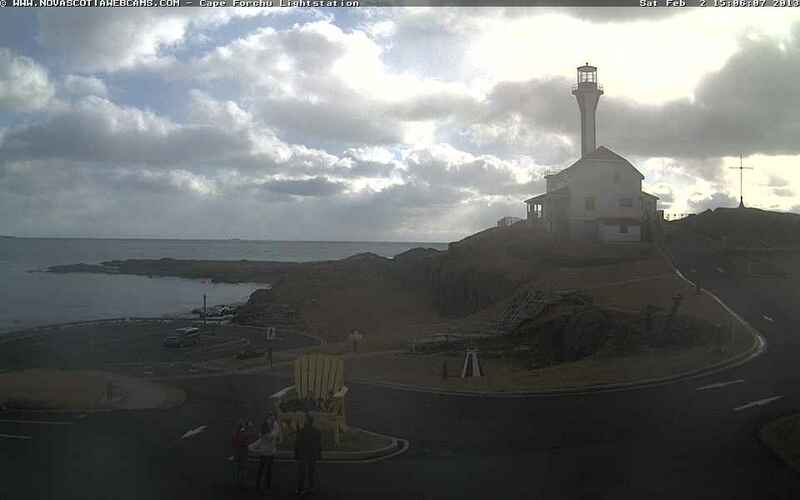 We took advantage of the beautiful afternoon to explore Yarmouth a bit and even made it on to Nova Scotia Webcams! 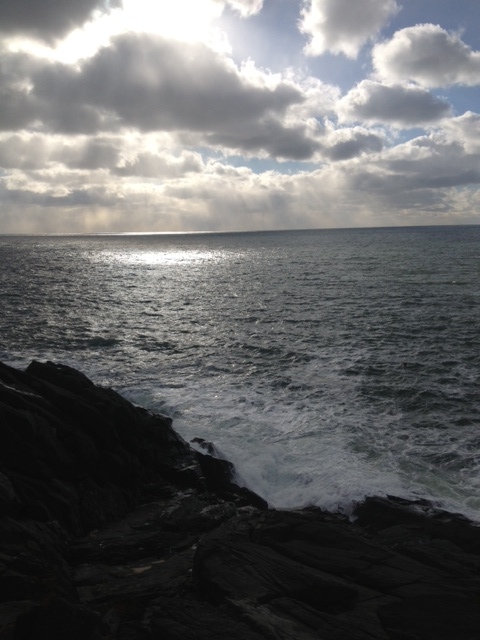 The ocean was beautiful this afternoon! 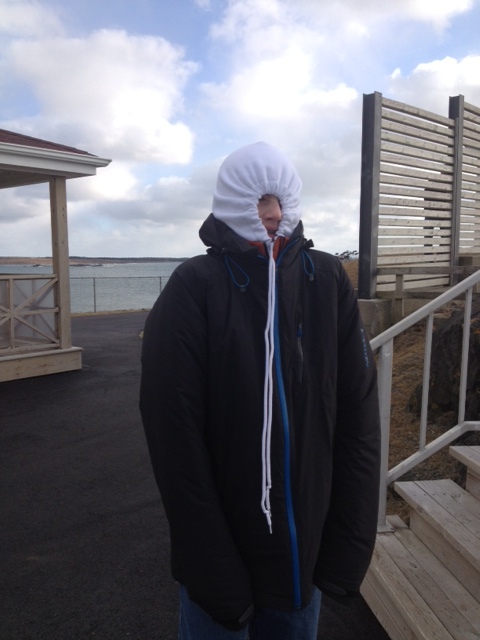 The wind was pretty strong (and chilly) off the water. 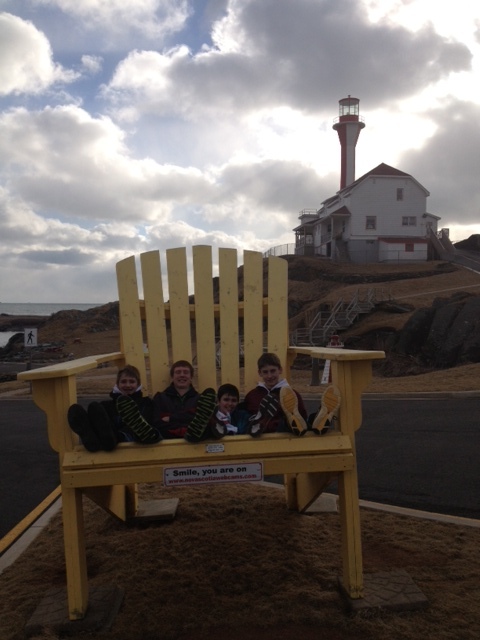 Team Spinney at Forchu lighthouse in Yarmouth! Regardless of the result, we’re having a great time! !